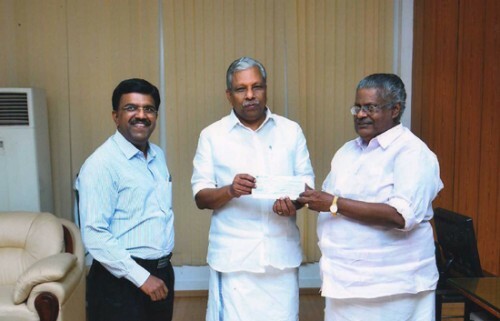 Kerala State Industrial Enterprises Ltd (KSIE) Chairman Sri. Skariah Thomas (Ex-MP) and Managing Director Er.Febi Varghese jointly handing over the Okhi Relief Fund to Industries Minister Sri. A.C. Moideen.